CLEARFIELD – After roughly three days of testimony, it took a jury about 45 minutes to find a Strattanville man guilty of robbing multiple businesses and one municipal building in Clearfield County. 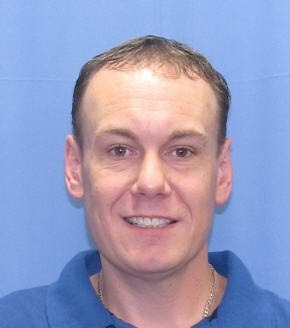 Jerry L. Ritchey Jr., 37, of Strattanville was found guilty of of burglarizing four area businesses the night of July 20–21, 2011. The burglaries allegedly occurred at the Bradford Township Municipal Building, Apex Hydraulics & Machine and D.C. Enterprises, both of Decatur Township, and T.L. Bainey Trucking of West Decatur. The charges Ritchie was found guilty of include: four counts of burglary and criminal trespass and two counts of theft by unlawful taking and criminal mischief. During closing arguments, Defense attorney Joseph Ryan called into question the shoe print left behind at the crime scenes, indicating it could have been anyone wearing the shoes. He also stated there was no evidence that Ritchie was traveling alone or with someone else. He also called into question the 88 exhibits the commonwealth presented, stated it was all circumstantial evidence, as well as the 16 witnesses. Clearfield County District Attorney District Attorney William A. Shaw Jr. countered, stating the evidence was all real; real shoe prints, real tracking on Ritchie’s car and real surveillance. On Aug. 15, he’ll stand trial for four counts of criminal solicitation for murder. He has been accused of plotting to kill his ex-wife and her boyfriend and his (Ritchey) girlfriend during his incarceration at the Clearfield County Jail.